More often than not, people bring up one question—“What’s for dinner?” No matter what the occasion, our list of dinner options will offer something for everyone. A new restaurant featuring a coffee house, full-service bar, dining room and an outdoor patio. Try the smoked linguini pomodoro and the smoky provolone bacon burger. Italian and Venezuelan cuisine can be found at this Bloomfield spot. Enjoy the veal parmigiana or the shrimp scampi. Adolfo’s also offers BYOB service. This upper Lawrenceville lounge offers wine, cocktails, craft beers, cheese and cured meats. Grab your friends and head over to The Allegheny Wine Mixer for your next night out. 777 Casino Drive, North Side. Contemporary steakhouse supplying casino-goers and visitors with a wide selection of chicken, steaks and seafood dishes. This new trendy restaurant serves authentic Mexican street fare. 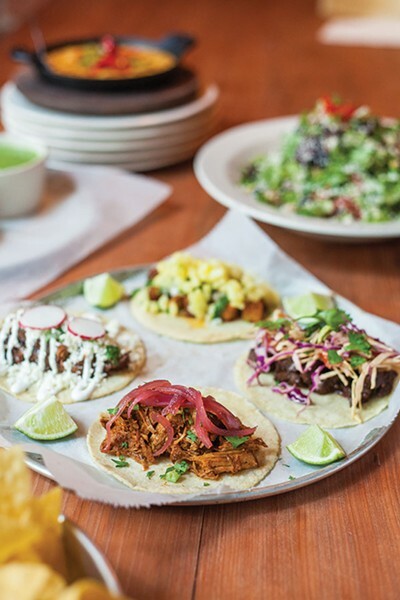 Start your meal off with chips and guacamole, and enjoy the pork-belly pastor or bistec tacos as a dinner entrée. Stop by Bar Marco to enjoy menu features like stuffed quail, spinach rigatoni or bucantini and lobster. Accompany your meal with one of its handcrafted cocktails. 1111 Airport Blvd., Moon Twp. 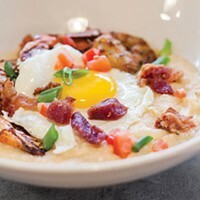 This restaurant near Pittsburgh airport satisfies travelers and locals with a locally sourced menu in an upscale dining environment. Try the organic Clare Island salmon or the Hawaiian rib-eye steak. 1908 E. Carson St., South Side. 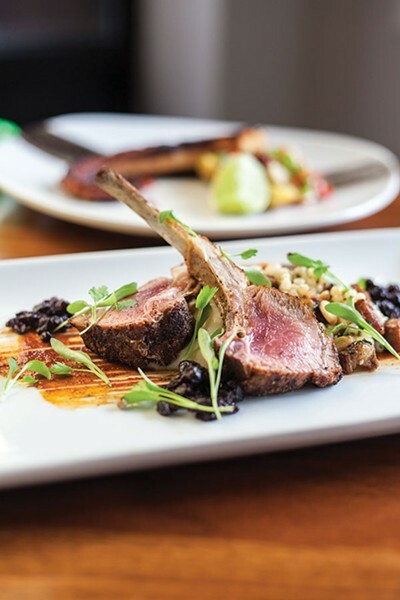 This restaurant and lounge serves up stylish menu items such as duck confit tacos and braised lamb shank. Revel in the historic charm of the building by sitting near the fireplace. 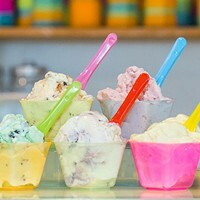 229 S. Highland Ave., Shadyside. A neighborhood restaurant and wine bar offering a broad menu from pasta to halibut. Pair your entree with one of the innovative cocktails. Try this restaurant to experience seasonal menus with local ingredients showcasing cuisines from all around the world. Try the Thai Yam Curry Mussels, fig and gorgonzola flatbread or beef and goat tagine. 2201 Murray Ave., Squirrel Hill. Coriander offers specialty Indian cuisine using extensive spices, herbs, and other vegetables. Enjoy curries, roasts, Indian Chinese, Indian beverages, desserts and more. Stop by the Crafty Jackalope for irresistible cuisine with a large selection of craft beer in a casual setting. Try the ahi tuna entrée or the flat-iron surf-and-turf as an entrée. This pizzeria and wine bar serves up a daily changing menu of ingredient-driven plates to share and thin-crust pizzas. Glitzy restaurant with refined American dishes like the spicy tuna tartare and the prime-beef ribeye. If you’re feeling adventurous, try one of the chefs tasting menus. Girasole serves up an innovative modern-Italian menu in a warm and friendly environment. Enjoy menu items like the potato gnocchi with marinara sauce and fresh mozzarella or tortelloni with light cream, peas and prosciutto. Hungry for something, but not sure what? Come to Grand View Buffet where you have an endless supply of cuisines including Asian, Italian and more. 3225 Babcock Blvd., North Hills. 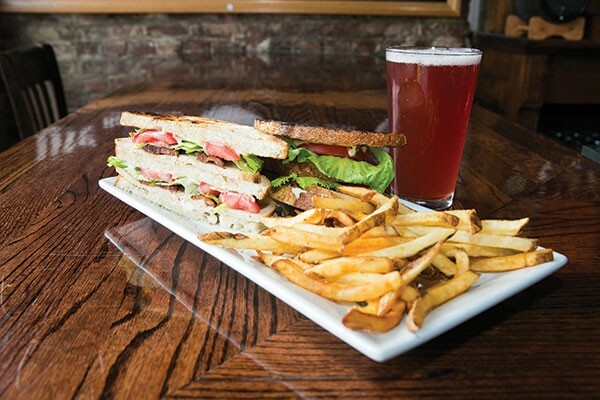 Stop by this upscale bar and grill and enjoy salads, sandwiches and delicious entrees. Try the New York Strip for dinner. Hal’s offers a large selection of beer to choose from. 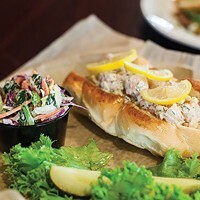 Harris Grill provides a comfortable fun dining experience with great food, beer and stiff drinks. For dinner, try the fish tacos, original HG macaroni-and-cheese or crab cakes McArdle. 247 N. Shore Drive, North Side. One of Pittsburgh’s most upscale steakhouses. Rub elbows with professionals while enjoying lunch staples such as lobster bisque, jumbo Southwest shrimp and of course, the variety of aged steaks. 393 N. Shore Drive, North Side. The Bettis Grille menu offers a wide array of American staples. Kick off your meal with world-champion nachos, and then try the hand-cut ribeye or the apple-gorgonzola salad. 124 S. Highland Ave., East Liberty. The Livermore offers fresh fare and fine libations. The bruschetta, beet salad, rigatoni or meatballs are sure to please any palate. This newly remodeled restaurant features steak, seafood and pasta dishes. Pair your entree with a glass of wine. Eat, drink and enjoy. 131 E. Main St., Carnegie. This vibrant dining establishments menu features Spanish paella, chicken and grits, and veal osso bucco. Accompany your tasty meal with a glass of wine or a handcrafted cocktail. Pallantia serves authentic traditional Spanish tapas. The menu changes by season to ensure only the best ingredients are used. For dinner try the paella with Valencian rice, saffron, clams, mussels, calamari, shrimp, chorizo, cod and peas. 6738 Reynolds St., Point Breeze. Enjoy dinner and drinks at this neighborhood eatery. At Pino’s, you will find interpretations of Italian classics as well as Mediterranean cuisine. A cozy local restaurant serving up American dishes such as kielbasa and kraut sandwiches, meatball sliders and pierogies. Enjoy authentic Mexican dishes at Plaza Azteca, like burritos, enchiladas, quesadillas, tacos and more. Try the fajitas nachos or the spinach and chicken enchiladas. 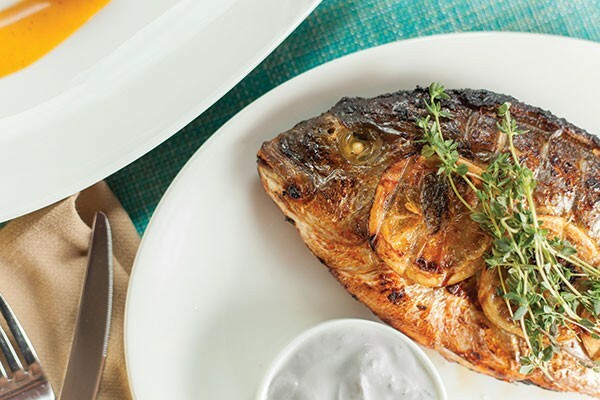 Poros offers the freshest seafood, the finest lamb and has vegetarian options to choose from. Grab your friends and enjoy dinner on the largest outdoor patio in Pittsburgh. Enjoy specialty noodle soups, rice bowls and more at this Squirrel Hill restaurant. Try the curry seafood ramen soup or the Hawaiian pineapple fried rice. 506 Chartiers Ave., McKees Rocks. McKees Rocks’ newest restaurant and bar offers New Orleans cuisine including fish and grits, turkey ribs, wings and jambalaya. Live entertainment every Saturday night and Sunday evening. 1720 Lowrie St., Troy Hill. Scratch Food & Beverage offers a seasonal menu of creative comfort food, craft cocktails, and local beer. Try the pot roast or the chicken and biscuit. Senti uses the finest ingredients in its Italian dishes. Indulge in all of your favorites, share the small plates and end your night with one of the many wine choices. Latin-inspired tapas is served here along with an eclectic cocktail menu. Try the pork empanadas or Cuban fried shrimp. 123 Shiloh St., Mount Washington. Head over to Shiloh Grill and enjoy menu items like the big cowboy ribeye, chicken quesadilla or the arugula steak salad. Wash it all down with a cold beer or tasty cocktail. Sienna Mercato offers three distinct dining options under one roof in the Cultural District. Emporio offers gourmet meatballs while Mezzo features wine, charcuterie and wood-fired pizzas. Il Tetto is a rooftop beer garden offering draft beers, cocktails and light fare. This trendy Pittsburgh favorite offers small plates and Asian inspired entrees intended for sharing. Bring your friends, have a glass of wine and enjoy a fun night out. This farm-to-table restaurant offers BBQ favorites like baby-back ribs, brisket and pulled-pork sandwiches and mac-and-cheese. All meats are smoked over oak, apple, hickory and mesquite wood. A trendy space offering traditional and modern Mexican dishes from chimichangas to poblano rellano. Wash it all down with a tasty margarita. 200 Shiloh St., Mount Washington. If you’re in the mood for good food and drinks head to The Summit. Try the pork-belly ramen, smoked-lamb tacos or the crispy polenta. This fashionable cocktail restaurant and lounge celebrates a return to a past era. Enjoy the cheese-stuffed garlic knots or the Angus ribeye sandwich. Don’t forget to try one of the creative house cocktails. 7795 McKnight Drive, North Hills. Believing homemade food is always better, Taj Mahal serves only the most authentic meals. Dishing out plates such as the lamb mango curry or the shrimp madras. There’s nothing like great sushi, right? Try it all at this Japanese spot. Start your night off with the miso seafood soup followed by maki rolls or sashimi. Choose Vue 412 for your next fine-dining experience. Experience seasonally inspired dishes accompanied by a breathtaking view of the city. Try the osso bucco chardonnay or the tomato and scallop ceviche. 120 S Whitfield St., East Liberty. 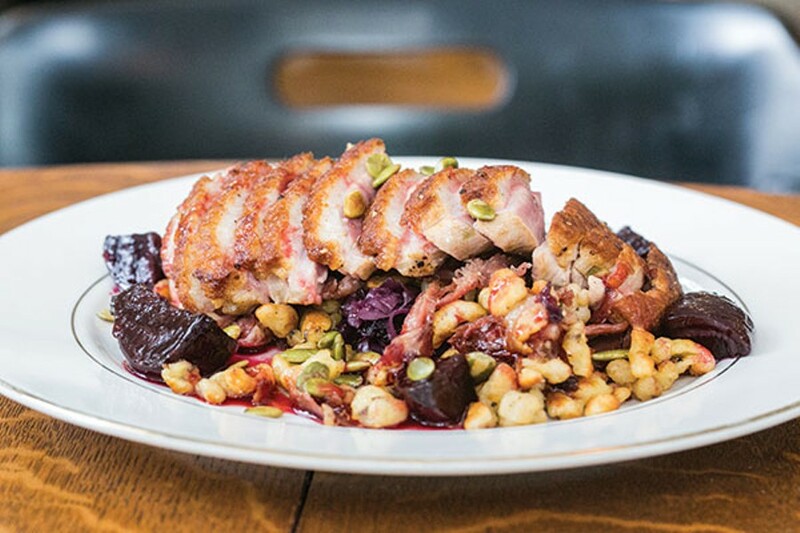 Neighborhood tavern that honors the organic culinary traditions of Pittsburgh through dishes like braised rabbit or the Berkshire pork shank.